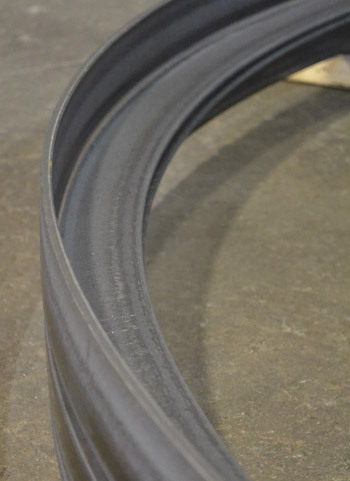 Linders Specialty Company has the capacity to roll bend flat bars the hard way up to 10” wide and 2” thick. 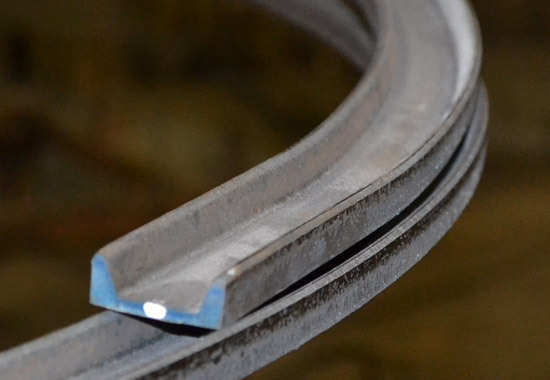 We can also bend bars and the easy way as well as provide welded rings. 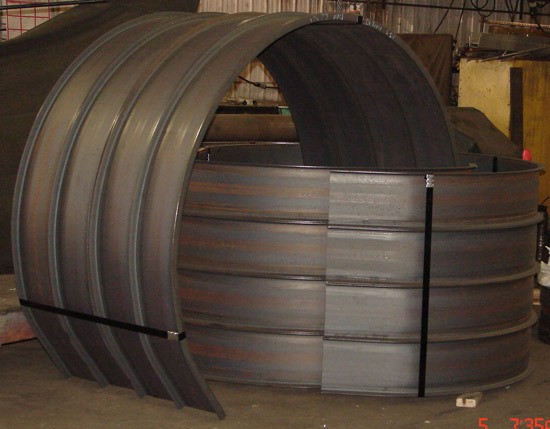 Linders Specialty Company has the capacity to roll bend wide flange and structural beams the easy way up to one hundred pounds per foot. 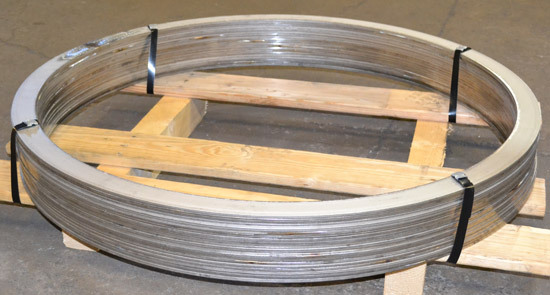 Our specialty is accurately rolling trolley beams with curved corners and tangents attached reducing splicing in the field or the shop to provide our customers with a drop-in product. We can leave ends untrimmed if field conditions preclude accurate measurements. 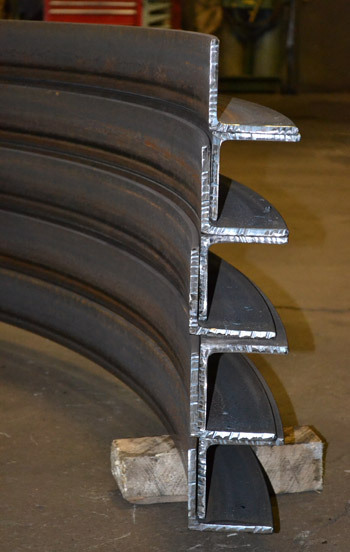 We can roll structural beams (S beams) the hard way if they are the heavy sections and under 6” in section. These are usually large enough for most conveying sections. 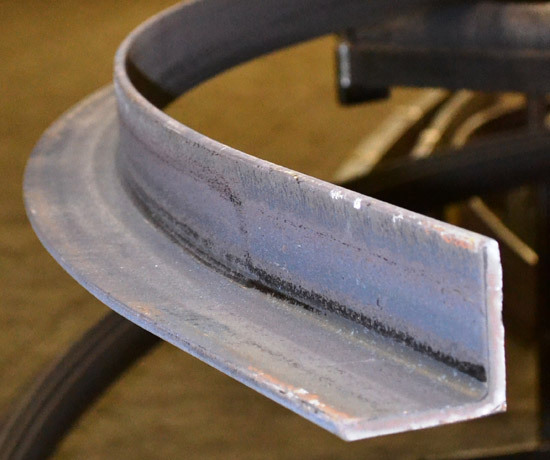 We can also split beams into Tees, roll the tees separately and weld them back together to get tighter bends than would otherwise be possible in one piece. Special machinery is required to roll the hard way beyond this. We do not possess this capability at this time. 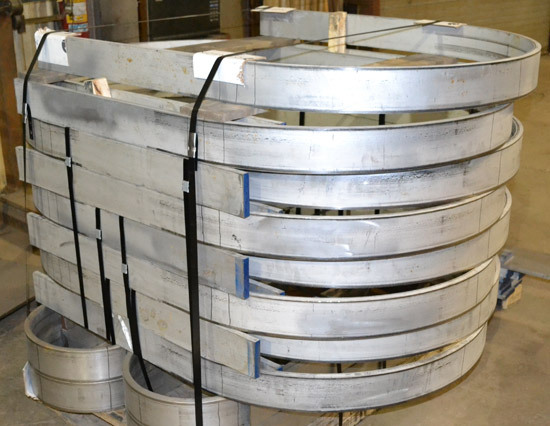 Linders Specialty Company has the ability to roll bend mill rolled channels in any size offered either legs in or legs out. 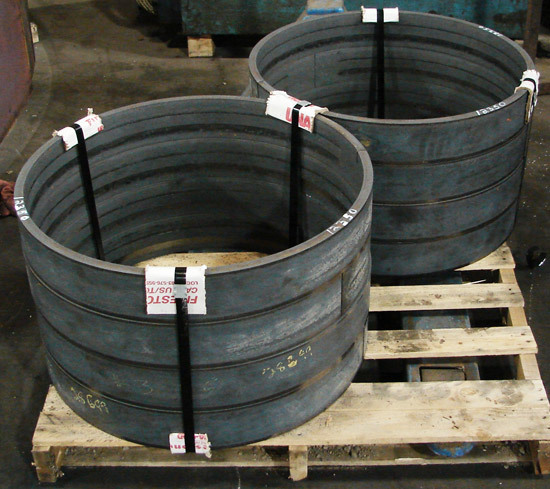 We can roll channels the hard way in all bar sizes and up to ten inches in milled rolled sizes. 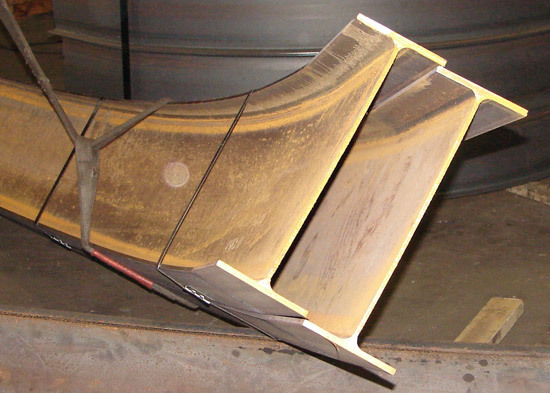 When rolling the larger size channels, we stitch weld the toes together to form a box section and plasma split them apart after rolling. Special machinery is required to roll the hard way beyond this. We do not possess this capability at this time. 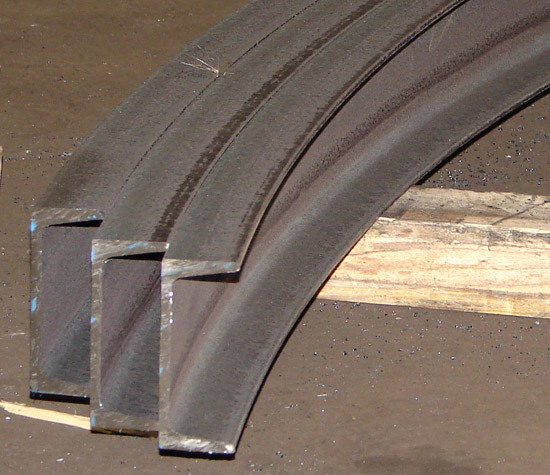 Linders Specialty Company has machinery capable of roll bending angle in any size available as mill rolled stock.